On Saturday September 9, 2017, Dr. Theresa Burke will be the Keynote speaker at the Gulf Coast Mercies 2nd Annual Benefit Dinner in Houston, TX. facilitators and teams, administration and ancillary staff and volunteers. on February 25, 2017 Dr. Theresa Burke will be presenting at the Religious Education Congress. On December 4, 2016 Dr. Theresa Burke will speak at a local church. Who: The symposium will feature speakers addressing the mercy of God encountering the misery and needs of mankind including: Cardinal Justin Rigali, Former Archbishop of Saint Louis, Bishop Richard Stika, Bishop of Knoxville, Tennessee, Sister Ann Shields, S.G.L., Dr. Theresa Burke, Founder of Rachel’s Vineyard and From Grief to Grace, Father James Mason, President-Rector of Kenrick-Glennon Seminary, Father Paul Hoesing, Dean of Seminarians, Kenrick-Glennon Seminary, Sister Dominga, MC and Sister Brenda Dolphin, RSM, Postulator for the Cause of Canonization of Mother Catherine McAuley. We are so excited to announce and invite you to our 1st Rachel’s Vineyard Latino Leadership Conference! It will be held August 1-3, 2016 at the Centro de Convivencia Juan Pablo II in Cusco, Peru. Among those in attendance will be Dr. Theresa Burke, creator and founder of Rachel’s Vineyard Ministries, Eugenia Hadley, Rachel’s Vineyard Director of International Training in Spanish, and spiritual adviser Father Victor Salomón, member of both the Washington, DC and Caracas, Venezuela Rachel’s Vineyard teams and host of the Defending Life series on EWTN. The Latino Leadership Conference will be a wonderful opportunity for members of our Spanish retreats to expand their education as we bring everyone together for three days of learning, fellowship and prayer in South America. This is also a great way for those who are looking to learn more about Rachel’s Vineyard and post-abortion healing as well as network with volunteers and leaders from around the world. This conference promises to be an extraordinary experience you will not want to miss! Pricing information and details to follow. On May 30, 2016 Dr. Theresa Burke will attend the National Conference. There will be a meet and greet for all Delegates. On May 31, 2016 Dr. Theresa Burke will hold a training for the National Conference. This is open to all Care agencies, hospitals, schools, School of Psychology. On June 1, 2016 Dr. Theresa Burke will hold a pastoral conference. This is open to the Clergy and Religious. On June 2, 2016 Dr. Theresa Burke will present an overview of Rachel's Vineyard and Greif to Grace. This event is open to the public. For more information please contact Anne at info@grieftograceaus.org.au. On April 10-22, 2016 Dr. Theresa Burke will attend a Pilgrimage to Rome, Assisi and Medjugorje. She would like to invite anyone who has attended a Rachel's Vineyard retreat to attend this pilgrimage with her. This includes but is not limited to those who are members of a Rachel's Vineyard team. This Pilgrimage is being hosted by Totally Yours Pilgrimages. If you have any questions please contact Suzanne deFriesse at 203-417-0504. To sign up please go to: www.totallyyourspilgrimages.com/totally_live_upload_version_066.htm or 16m05 Itin. On Saturday January 30, 2015 Dr. Theresa Burke will be conducting a Clinical Training for those in the interested in learning more about the pain and trauma and abortion, this includes those in the medical profession, therapists, the general public…etc. On December 12, 2015, Dr. Theresa Burke will be facilitating small-group and spiritual exercises aimed at healing the family. On December 13, 2015, Dr. Theresa Burke will be holding a training covering topics regarding the healing of the family. On Saturday November 7, 2015 Dr. Theresa Burke will be conducting a Clinical Training for those in the Medical profession. On October 8th, 2015 Dr. Theresa Burke will hold a Clinical Training that is open to the public covering topics pertaining to Abuse, Trauma and Abortion. On October 9th, 2015 Dr. Theresa Burke will conduct a General Training open to anyone who interested in Grief to Grace or Rachel's Vineyard. All are encouraged to attend any or all of the trainings listed. On October 1, 2015 – Dr. Theresa Burke will be presenting at the Catholic Medical Association Conference. On September 14th, 2015 Dr. Theresa Burke will conduct a clinical training that is open to the public and Clergy covering topics pertaining to trauma associated with Abortion. On September 15th, 2015 Dr. Theresa Burke will conduct a Rachel's Vineyard Team Training that is open to the public covering topics relating to Abortion. Those interested in Rachel's Vineyard are encouraged to attend one or both of the days. On September 11th, 2015 Dr. Theresa Burke will conduct a clinical training that is open to the public and Clergy covering topics pertaining to trauma associated with Abortion. On September 12th, 2015 Dr. Theresa Burke will conduct a Rachel's Vineyard Team Training that is open to the public covering topics relating to Abortion. On Friday April 17, 2015 Dr. Theresa Burke will be conducting a Clinical Training for Mental Health Professionals. On Saturday April 18, 2015 Dr. Theresa Burke will be conducting a Rachel's Vineyard Facilitator and Team Training. Ottawa, Canada - presenting at the Catholic Organization for Life and Family’s 2015 Seminar, COLF works in close collaboration with the Canadian Conference of Catholic Bishops (CCCB). On March 20, 2015 Dr. Theresa Burke will be presenting at the Catholic Organization for Life and Family’s 2015 Seminar, COLF works in close collaboration with the Canadian Conference of Catholic Bishops (CCCB). For more information please contact Michèle Boulva at Tel. : (613) 241-9461 /ext. 141. On Tuesday March 17, 2015 Dr. Theresa Burke will be conducting a Rachel's Vineyard Facilitator and Team Training. On Wednesday March 11, 2015 Dr. Theresa Burke will be conducting a Clinical Training for Health Professionals. On Thursday March 12, 2015 Dr. Theresa Burke will be conducting a Grief of Grace/Rachel's Vineyard Facilitator and Team Training. Dr. Theresa Burke will be speaking at Wyoming Catholic College's Formal Lecture Series. Dr. Theresa Burke will be hosting Clinical Training that will be open to the General Public. Throughout the week Dr. Theresa Burke will be teaching seminars at the ITI, meeting with Bishops Laun and Kung, as well as holding a Rachel’s Vineyard Retreat. For more information please contact: Lairen Vogan at 610-354-0555 or via email at 2assistant@rachelsvineyard.org. We have just made the difficult decision to postpone the 2014 Rachel’s Vineyard Leadership Conference, scheduled for July 21 – 24, 2014 in Malvern, PA. While this is a disappointment to those who have looked forward to our conference, we are excited to announce that we’re developing our educational outreach for licensure that will offer online training. This training will be offered over the internet and will lead to levels of licensing for those who use our treatment models. These classes will enhance the team member’s ability to facilitate retreats. This decision will make it possible for those throughout the world, who do not have the financial resources to attend our conference, to be trained using our online educational program. Please keep these exciting efforts in your prayers. On June 27th, 2014, Dr. Theresa Burke will be hosting 2 half day trainings. The first session will be a Clergy Training and the second session will be a Clinical Training. On June 28th, 2014, Dr. Theresa Burke will be conducting a Rachel’s Vineyard Facilitators & Team Training. On Wednesday May 15, 2014 Dr. Theresa Burke will be the Keynote Speaker at Minneapolis, MN Right to Life Dinner. On Saturday March 8th, 2014 at 10AM Dr. Theresa Burke will share Rachel's Vineyard with the parishioners at St. Patricks Parish in Carlisle, PA.
Dr. Theresa Burke will be conducting a Clergy Training on February 4th, 2014 and a Clinical Training on February 5, 2014. St. Augustine, FL –Presenter at Workshop and Keynote Speaker at the March for Life St. Augustine. 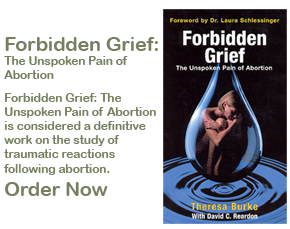 Dr. Theresa Burke will be presenting at a Workshop on January 17, 2014 and will be the keynote speaker at the March for Life St. Augustine on January 18, 2014. Tickets are $35.00 (before October 10) - no tickets sold at the door. Dr. Theresa Burke will be conducting a Clinical Training on October 4th and a Rachel’s Vineyard Facilitators & Team Training on October 5th in Grand Rapids, Michigan. Kevin Burke will be interviewed Live 7:45 a.m. ET with Brian Patrick on the Son Rise Morning Show. Dr. Theresa Burke will be conducting a 2 hour Clinical Training on September 20, 2013 and a Rachel’s Vineyard Facilitators & Team Training on September 21, 2013. Kevin will be the guest speaker at the Legatus Philadelphia Chapter Banquet. Kevin Burke will be a speaker at the Stand Up for Religious Freedom Rally in Pottstown, PA starting at 12:00 pm. Kevin Burke will be speaking to Generation Now Scholars at the University of St. Thomas. Kevin Burke will be the guest speaker at the Legatus Northern New Jersey Chapter Banquet. A conference supporting networking and development of those in Rachel’s Vineyard Retreat Ministries to people seeking spiritual healing from the grief and loss after an abortion. Please come and hear the stories of these women who have experienced healing in their emotional and psychological struggles due to abortion. Refreshments will be provided. A goodwill offering for Rachel's Vineyard will be taken. Details: Kevin will speak on a panel about "How to bring healing after abortion"
See the save the day flyer on our homepage for more information. Dr. Theresa Burke, along with Fr. Frank Pavone and Dr. Alveda King, will be speaking at the NightVision Music Festival in Colorado on Friday July 8th. Dr. Theresa Burke will be running a Rachel's Vneyard retreat in Vienna at the International Theological Institute for students interested in bring Rachel's Vineyard to their home countries. Dr. Theresa Burke will be speaking at the Medical Students for Life of America conference in Washington DC. Kevin is presenting to a theology class at the Mount St. Mary's Seminary in Emmitsburg, MD. He will covering the topic of men and abortion. Priest's Dinner & Seminar "Sharing the Heart of Christ"
"Men, Couples, Families & Abortion"
Theresa Burke, PhD, has been invited to return for another meeting of the Ponitical Academy for Life's Study Group on Post-Abortion Syndrome: Ethical, Scientific and Pastoral Implications. This time Dr. Burke will be giving a lit review of post-abortion research. Contact: Visit their website for more information. Details: Theresa will be a panelist for the topic of RU486. Kevin and Theresa Burke will be attending the March for Life. Kevin and Theresa Burke will be speaking at the Legatus of Northern New Jersey meeting. Kevin will be speaking at the 8am and 10:30am services and also to the Adult Sunday School class. The ITI will be hosting a week of training lectures and continuing education seminars on post-abortion trauma and healing. Other Details: Fr. Frank Pavone and Janet Morana from Priests for Life will also be presenting. Theresa Burke, PhD, has been invited to be a member of the Ponitical Academy for Life's Study Group on Post-Abortion Syndrome: Ethical, Scientific and Pastoral Implications. Details: Heartbeat’s Annual Conference is designed for ministry leaders, staff, Board members, and volunteers of life-affirming pregnancy resource centers, medical clinics, maternity homes, and non-profit adoption agencies, and for professionals in the areas of medicine, counseling, social work, and education. details: training for Mental Health Professionals, Priests, Deacons, and HealthCare Professionals. In September 2009, Graham Rintoul from the Oregon Rachel's Vineyard team contacted KBVM to gauge their interest in an all-male interview panel speaking about the RV program in general and about each man's specific experiences. Good news! We have scheduled a live interview on Wednesday, January 20th, 2010 at 8:00AM Pacific time. Four of us will be part of the panel discussing the retreat program and the affects and changes that the retreat experience has provided. The potential audience could be quite large as KBVM reaches the Portland OR / Southern Washington metro directly and the rest of the planet through a live Internet feed at www.KBVM.fm I hope you have an opportunity to listen to the show. 11/7 - Regional Training for all Rachel's Vineyard team members in the area. Event Details: Dr. Burke will speak from 2:00-5:00pm. Mass will be held at 5:00pm followed by 24-hour adoration starting at 6pm. Watch for updates on the web, newsletters and egroups! Dr. Theresa Burke to give a presentation to the counsel. Join thousands of other pro-lifers as we march for healing the wounds of abortion at our Nation's Capital.